Basic summary: Two cold-weather running pant styles; one is lightweight and versatile, the other is rugged and ready for extremes. Both provide great winter running options for those who dislike wearing tights. Depending on where you live, winter protection means different things to different runners. In warmer climates, you may only need a lightweight versatile layer that can be easily stashed when not in use; in other areas, you may need something tough enough to train in a bomb cyclone. We’ve tested one example of each. We could probably make this a seven-word review, and many readers would know exactly what we mean: “A pants version of the Houdini jacket.” Patagonia’s original Houdini has become synonymous with a durable, lightweight exterior layer that provides solid weather resistance and insulation, and compresses down to almost nothing when it’s not in use. Houdini pants are the lower extremity companion piece to the jacket that invented its own category. The use of featherweight nylon ripstop places the Houdinis among the lightest running pants you’ll ever find, and the material rides comfortably against the skin. We split our test runs evenly between wearing the Houdini by themselves over a pair of underwear, or pulling them over a pair of standard running shorts, and found them equally suitable in both circumstances. Patagonia describes the fit of the pants as slim, but we had no trouble wearing them over regular shorts, and experienced no restriction of movement. 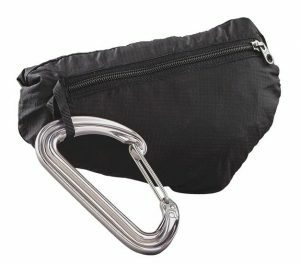 The elastic waistband with large drawstring closure makes it easy to adjust the fit at the waist depending on how many layers you have underneath. 15-denier wind resistance plus DWR finish aren’t nearly enough to fully protect you from harsh conditions, but they’re ideal for providing a notch of protection from the elements while trapping the body heat coming off your legs for improved insulation. Like its jacket predecessor, the best feature of the Houdini pants is their ability to compress and pack down into a small lightweight ball for easy storage in a pack. When compressed, the entire garment is smaller than a soda can, and at less than 100g, you’ll barely even notice the extra weight. 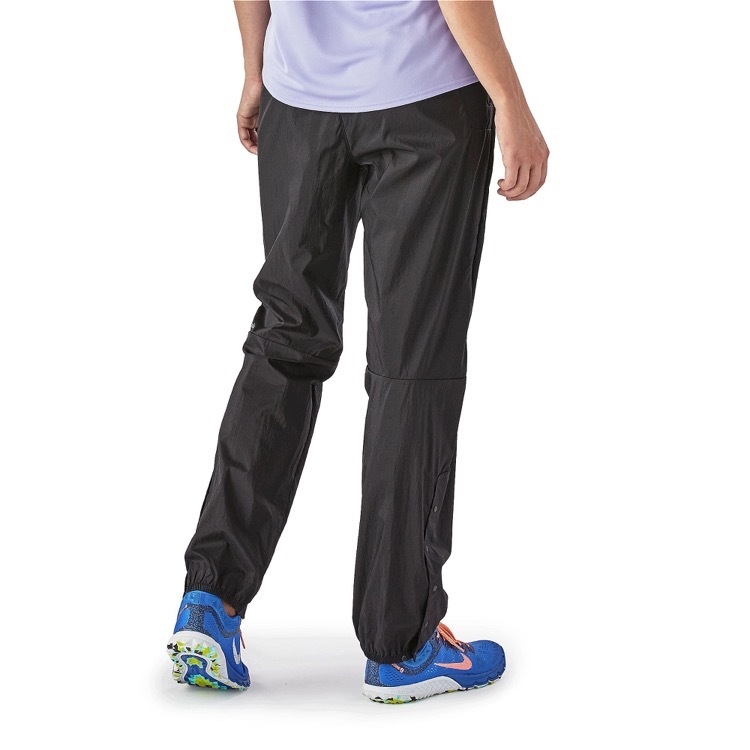 In addition to being perfect for frosty winter mornings, an ideal use for the Houdini pants is for running through the night in a 100-miler, especially in mountain environments. Pull them out when it gets dark, let them keep you warm when temperatures drop, then stuff them back in your pack after sunrise. Five snap fasteners open from the ankles up to mid-shin, which is more than wide enough to put the pants on and off over a pair of shoes. The benefit of snap closures is that you don’t risk a zipper getting gummed up by heavy mud, but the drawback in this case is that Patagonia’s snaps on these pants are the same ones they use on the Houdini jacket, which can sometimes be a tricky to manipulate with a single hand. Patagonia’s Houdini pants come in unisex sizes and are available at www.patagonia.com. 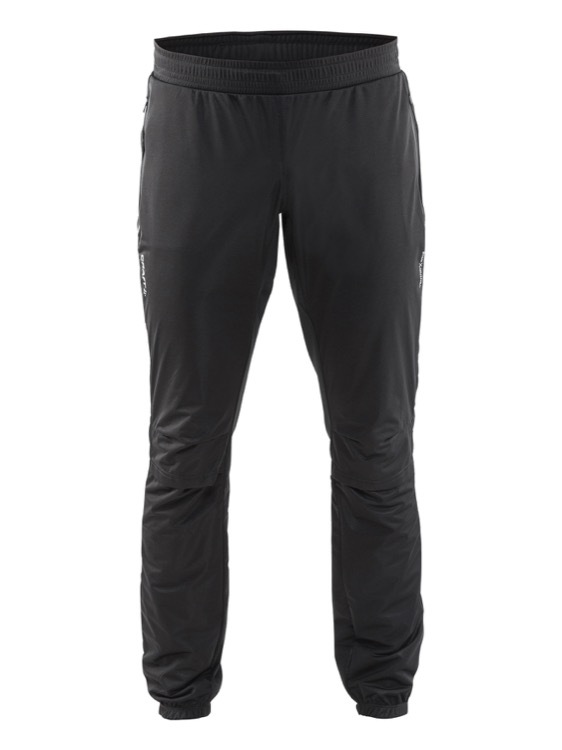 Craft is a Swedish company with extensive roots in XC skiing, and their Intensity FZ pants are a great representation of their crossover to trail running, as they are equally suited for both endeavors. These are true heavyweight pants, but they provide all of the insulation you need in harsh conditions, with fabric construction to keep you from overheating when you’re working hard. The pants have dual layer construction in three of the four main panel areas – the entire front side, and the back side below the knee – while the posterior thigh area is a single-layer soft moisture-wicking fleece material for thermoregulation. On the other panels, the exterior layer is a fully windproof polyester shell fabric, while the interior layer is a soft mesh that pulls moisture off the skin for ventilation through the exterior shell. The knee joint is articulated in front to provide an additional space for air and heat to escape under high exertion. 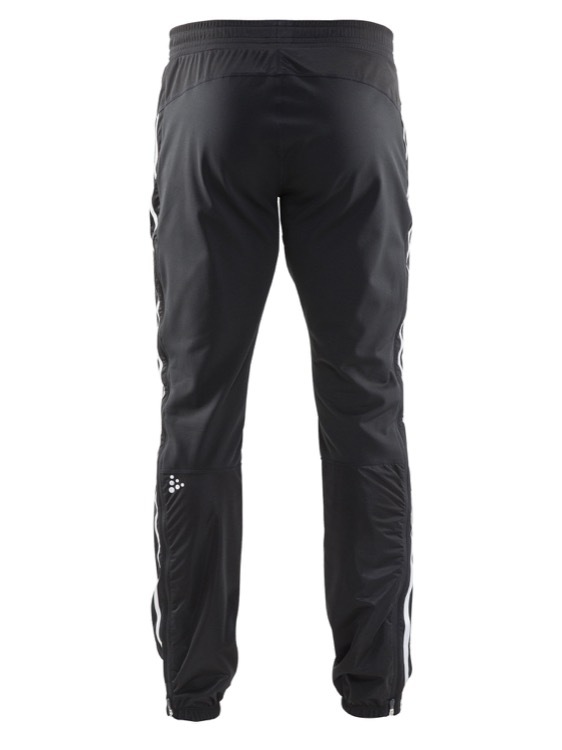 All of the fabrics on these pants, including the windproof shell, have strong elastic properties to provide full range of motion, particularly through the hips; this is critically important for XC skiing, and only slightly less so for full-speed running. 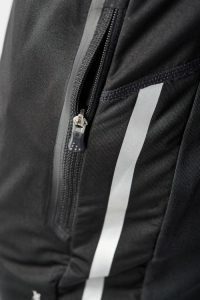 The Intensity FZ also have an elastic waist with drawstring closure, but they are more designed for wearing directly over a pair of underwear; if you try to pull them over a standard pair of shorts, you’ll have a lot of bunching between your shorts panels and the interior layer of the pants. As for the FZ in the name, that stands for Full Zip… and when they say full, they mean it. Putting pants on and off over a pair of ski boots is obviously trickier than going over a pair of trail shoes, and the zipper opening of the Intensity FZ goes all the way from the ankle up to mid-thigh, making it super easy to step into or out of them without changing shoes. (You can almost do it with a pair of skis on.) One final feature we like is the large zippered pockets on each hip, which have openings that are large enough to go into or out of while wearing a pair of gloves. 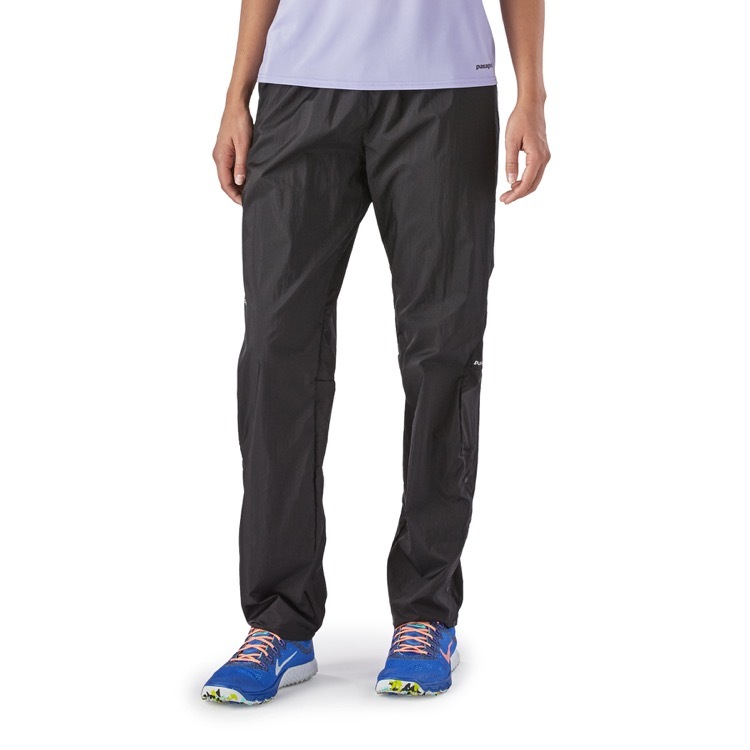 Craft’s Intensity FZ Pants are available in men’s and women’s versions from http://shop.craftsports.us.